When Toukiden 2 announced that it would be sporting an open world design, the writing was on the wall and the only question remaining was when they would be developing a Dynasty Warriors game with that in mind. 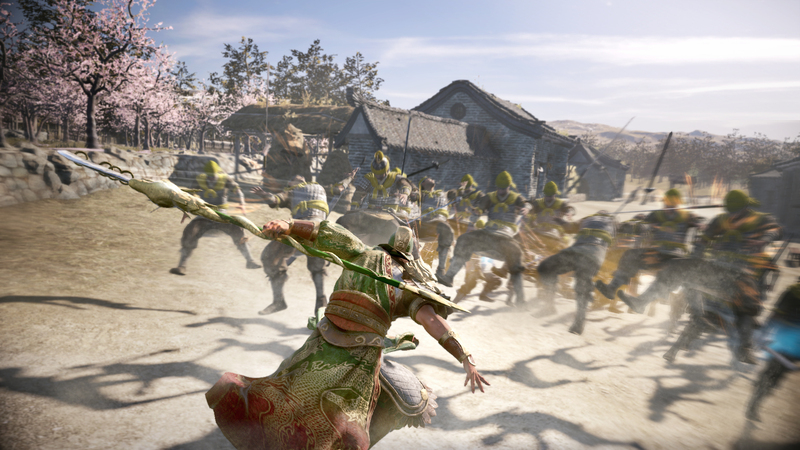 Eventually it was announced that Dynasty Warriors 9 was not only in development but the franchise would also dip into the open world foray that most mainstream games have done. Of course, just being an open world game isn’t enough to be a good game. In fact, with the release of so many in the last decade, it’s become clearer to see the basic fundamental issues and limitations the developers have even if they are ambitious and given a large budget. With it being open world, does Dynasty Warriors 9 excel and explore potential that past tiles could never have dreamed of? For those living under a rock, the Dynasty Warriors franchise takes place in the warring times of the three kingdoms, from the Yellow Turban Rebellion to the rise of the Jin Dynasty. 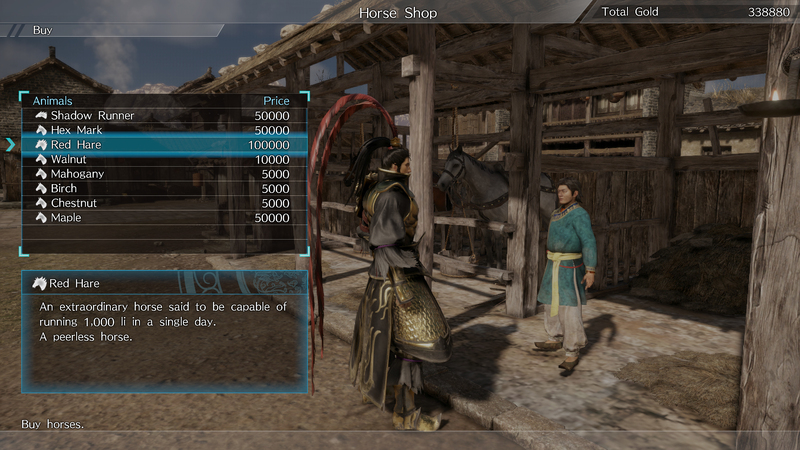 The game takes a historic time period and adds fictional elements from the Romance of the Three Kingdom novels with a bit of a Koei magic sprinkled throughout. Unlike past titles, they really dove headfirst into the historic roots by changing the Story mode from picking an officer and going through a number of stages, and instead picking an officer and following them throughout their most prevalent actions in history during the time period. This includes how they rose to prominence all the way to their time of death, at times taking some creative liberties. It generally works, and they successfully explored events and character depth not seen in the past but it also came at the cost of the quality taking a dip in other areas. While major characters get a copious amount of spotlight, subordinate characters are usually relegated to being in group conversations, just standing there as everyone else is talking. Some characters did finally get their time to shine like Deng Ai but others like Taishi Ci are still without character and thus nobodies. While it isn’t that much better compared to previous games, versions like Dynasty Warriors 7 were able to at least give a few of the characters the quality and emotional cutscenes they deserved while everything here is mostly in-game besides major events. Wouldn’t be a proper entry if you weren’t seeing this 95% of the time, while capturing bases of course. Outside of the endings, which for the most part are serviceable, the emotional scenes are the dialogue and the performances themselves. Since the animations are so limited, you will see most deaths on screen such as falling over as they sit or simply off screen. Because of the awkward pacing of events and the fact that you are encouraged to play through every character to get the full story, the scenes where I was supposed to be emotionally invested just fell flat. Even as a fan who read up on the history of this lush period, I was lost as characters seemingly disappear and you only learn about their fate through a talking sequence. How does a leader like Cao Cao or Liu Bei not know or at the very least acknowledge the demise of people under him? It makes no sense. Wu got the better treatment in that regard but as I said, the death scenes were a joke and the pacing of seeing someone die without a break because the game hardly points out the passage of time didn’t help matters. Because the developers successfully gave more context for the battles and various skirmishes in between these scenes, I give them a B for effort. As they say quality is more important than quantity and this game is working with a whopping 90 playable characters now which means more effort spent on some and less effort on others. Before talking about the game’s open world aspect I’ll go over the new combat system that usually gets a bad rap. These games seem to be as simple as blindly mashing the square button so that everything dies. 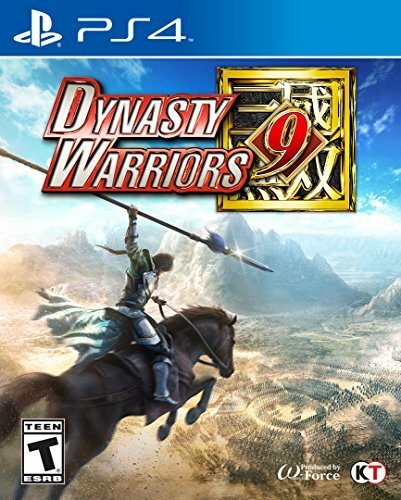 If you ever played Dynasty Warriors on higher difficulty settings you would know that was never true and that can certainly apply to this game. For fans I know what you’re thinking, they tried that for Dynasty Warriors 6 with its Renbu system and it failed miserably. After all of the good that bringing 7’s return to the old Charge System did, they decided to alter it again with 8’s weapon triangle system, which was way too exploitable. So while the new system still has its foundation supplanted by the old, they went and played around with new ideas with this system that branches into three major points: Flow Attacks, Reactive Attacks, and Trigger Attacks. The Flow Attacks, instead of being a simple combo string, now depend on the state of the enemy, whether in the air, the ground, or stunned and with no special conditions required. So combining this with the Trigger Attacks that cause all three, you can essentially string together combos and juggle an enemy to death similarly in a character action game, finishing it off with the Special Attack. Word of advice, get a horse as fast you can and level it up, trust me. You can go nuts with this system and it feels smooth and cathartic, coming very close to being my favorite system thus far. I am not the biggest fan of Reactive Attacks however, as it reminds me too much of the Triangle actions that you would see in Kingdom Hearts titles. There are special conditions like being being able to do massive amounts damage to characters who are unaware of your presence behind them, guard breaking and countering, to even finishing an enemy off completely when they’re almost down to one health bar. Every single one of these conditions can be exploited and makes officer encounters too much of a breeze even on harder difficulties. Is it enough to ruin the experience? I say no, and while I’d rather they remove it entirely, if they can balance the damage output for future entries, I wouldn’t mind its inclusion. I will cut to the chase, this game’s adoption of an open world leaves me with mixed feelings even after putting over a hundred hours into it. Sadly, like many other titles out there, it tumbles into the same pitfalls when making these sizable worlds. The famed battles and not so famed skirmishes are all here and instead of being closed off to a map, they are now part of one giant world map that spans from the Great Wall of China up north all the way to the Nanman territory in the south. Main objectives are now categorized, where the major battle is at a single encampment with secondary objectives littered across the area around it. These act as the portions in past games where you are alerted to defeat an officer or act as a babysitter to another, or a completely new form of gameplay with dialogue choices and stealth thrown in the mix. Completing the secondary objectives may activate an event like flooding Xiapi or burning the boats in Chibi, giving you rewards like scrolls or rare coins while also whittling down the difficulty level of the main objective; so there are incentives and it works well.